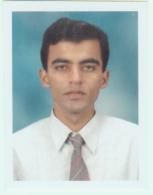 Myself born on July 17th, 1979 in Roorkee, Uttarakhand (Earstwhile Part of Uttar Pradesh). By Profession, I am working as a Geologist (Jr.) Gropup'A'/ Gazetted in the Geological Survey of India, Ministry of Mines, Govt. of India. Mother: Sr. Teacher & Principal in a Jr. School under Govt. of Uttar Pradesh. Sister: A Lecturer in Social Sciences for Sr. Secondary Classes in a Govt. Intermediate College under Govt. of Uttaranchal (Now Married). ..an average looking, cool guy with brown eyes...moreover, it takes time to understand a person..
Hobbies/Interests: Philately, Numismatics, Reading/Writing, Travelling (Long Distances - Preferably alone), Making Friends, A little gardening. Lata Mangeshkar, Kishore Kumar, Alka Yagnik, Lucky Ali, Dr. Palash Sen (Euphoria fame) and in Ghazals - Jagjit & Chitra Singh. Kalpana Chawla (Subodh Mohanty), In Search of Lata Mangeshkar (Harish Bhimani), Ignited Minds & Wings of Fire (APG Abdul Kalaam), Indian Railways (R.R. Bhandari), Anything for You Ma'am (Tushar Raheja), Five Point Someone, One Night at the Call Centre, Three Mistakes of My Life (Chetan Bhagat), Survey of the Environment (Annual , Published by The Hindu News Paper Group, India) and anything related to my stream of research work.